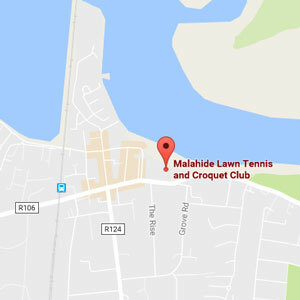 MTLCC captains are delighted to announce that we have set up a professional relationship with ISI Malahide Marina. The Irish Strength Institute is Ireland’s leading Personal Training company. We specialize in tailoring all aspects of training and recovery to our client’s specific needs. Leo Ryan is a senior trainer in the ISI Malahide Marina. He has travelled Europe, the states and Canada to learn from the best people in industry. Leo’s passion is health performance. Leo works with the ISI because he believes they have some of the best experience and education in fitness, internationally. The goal is to get players involved in classes or pre-hab training during the four week build up to league. These classes are specifically designed for tennis players and should help players stay strong and prevent injury throughout the summer league season. The proposed class times will be – Saturday mornings an hour between 8-11am and or Wednesday (4-7pm) or Friday evenings (4-6pm). League preparation gym classes at the ISI Marina with strength coach Leo will cost €10 per class (providing we have numbers). The ISI trained former professional tennis player, Irish Davis Cup player and our men’s captain James Cluskey for the last 5 years and James is a huge believer in the power of pre -hab and keeping players fit. He’s seen the proof in his own game.